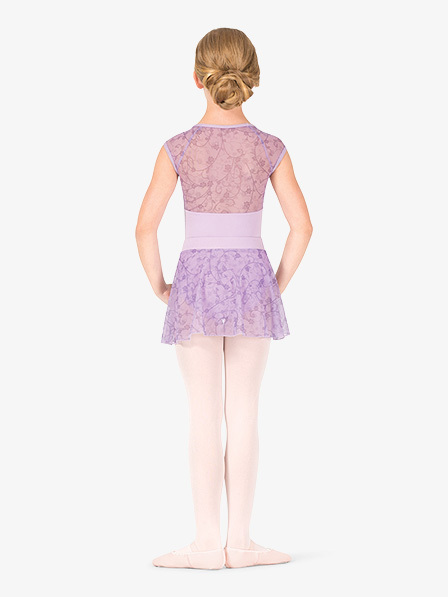 Let your little one shine with sophisticated styles by Natalie Couture. This adorable leotard features flower mesh short sleeves, and a beautiful flower mesh back. Bust 21"-22.5" 22.5"-25" 25"-27" 27"-29"
Waist 19"-20.5" 20.5"-22" 22"-23" 23"-25"
Hip 22.5"-25" 25"-27" 27"-29" 29"-31"
Torso 37.5"-40.5" 40.5"-44" 44.5"-47.5" 47.5"-50.5"